The carnival of Santiago de Cuba will be declared Cultural Heritage of the nation as part of the day for the celebration of the 500th anniversary of this city. 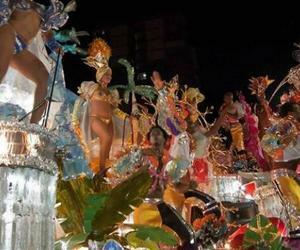 The Santiago carnival began this week, and will run until July 27 at 18 dancing areas of the city. The festivities will make a display of music, dance and food options of all kinds. This time the distinction of being the first after the creation of the Network of Caribbean Carnival, an initiative of the Association of Caribbean States in order to protect and promote these expressions of traditional popular culture. In the event will participate artists from Guadeloupe, Puerto Rico, Dominican Republic and France, as well as academics from Virgin Islands, United States, who will analyze the cultural significance of the carnivals with professionals from the scientific center of the University of East.